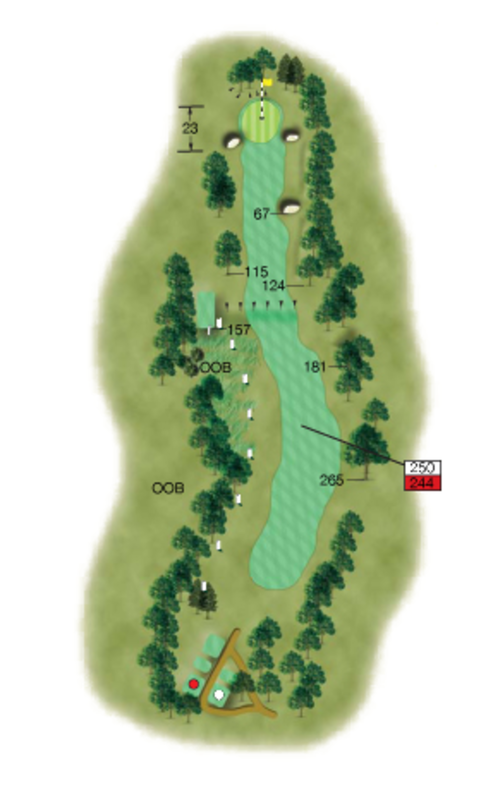 An exceptionally difficult par 4, very long and tight with numerous obstacles between you and the hole. The tee shot has out of bounds down the left and trees down the right. A grassy ditch gathers any second shot leaked out to the right and trees await anything hit short and left. The small green is protected by bunkers left and right. A bogey is a good score on this hole! The hardest par 4 on Merseyside! Out of bounds punishes any tee shot hit left. Not much room for the 2nd shot. This is a 3 shotter for most.